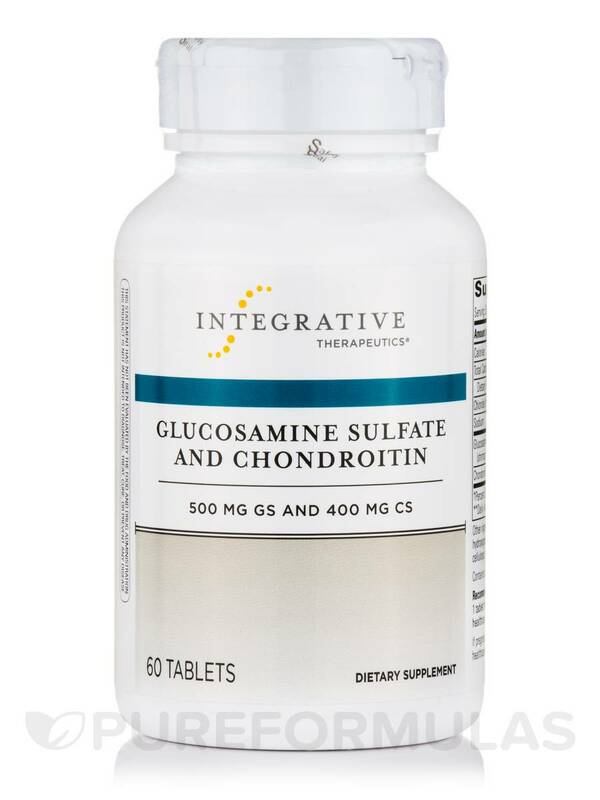 Glucosamine sulfate with chondroitin sulfate is formulated to support healthy connective tissue and joint cartilage. 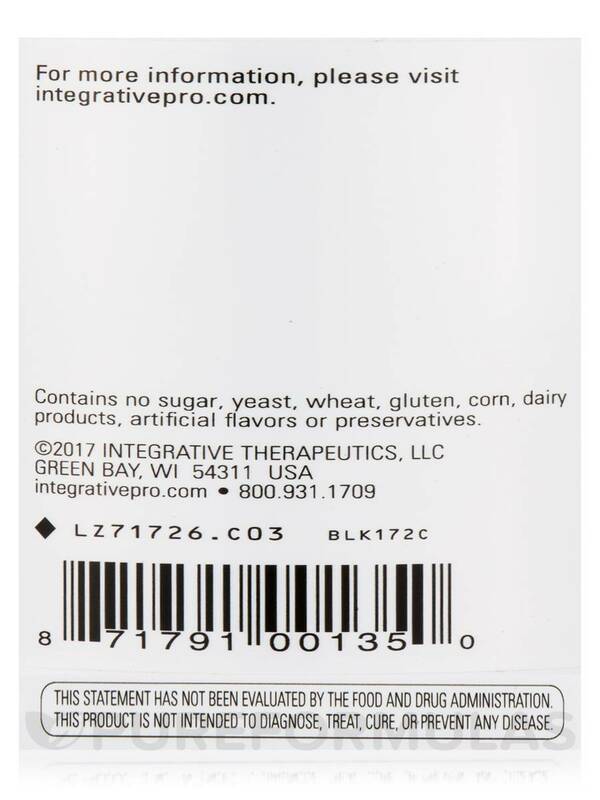 Other Ingredients: Cellulose‚ sodium carboxymethyl cellulose‚ hydroxypropyl methylcellulose‚ titanium dioxide color‚ hydroxypropyl cellulose‚ magnesium stearate‚ glycerin‚ soy lecithin‚ carnauba wax. Contains Soy and Shellfish (Shrimp and Crab). 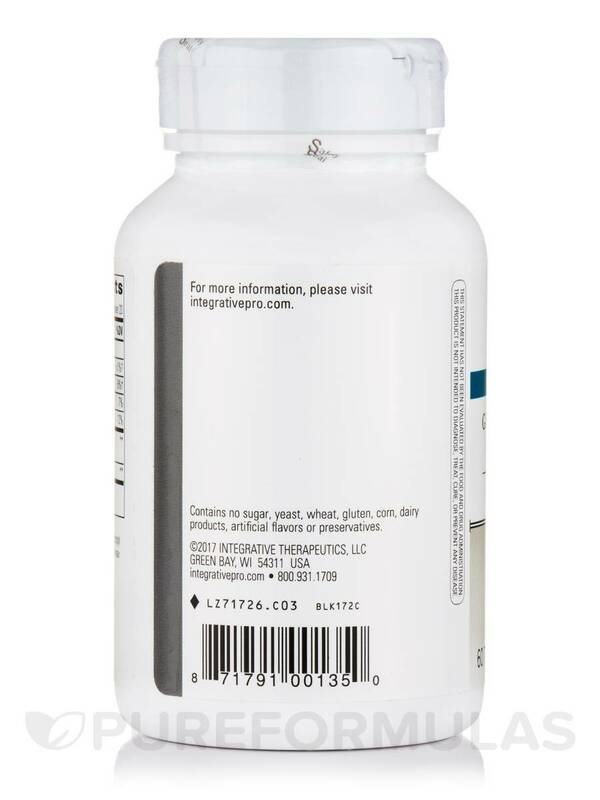 Contains no sugar‚ yeast‚ wheat‚ gluten‚ corn‚ dairy products‚ artificial flavors‚ or preservatives. 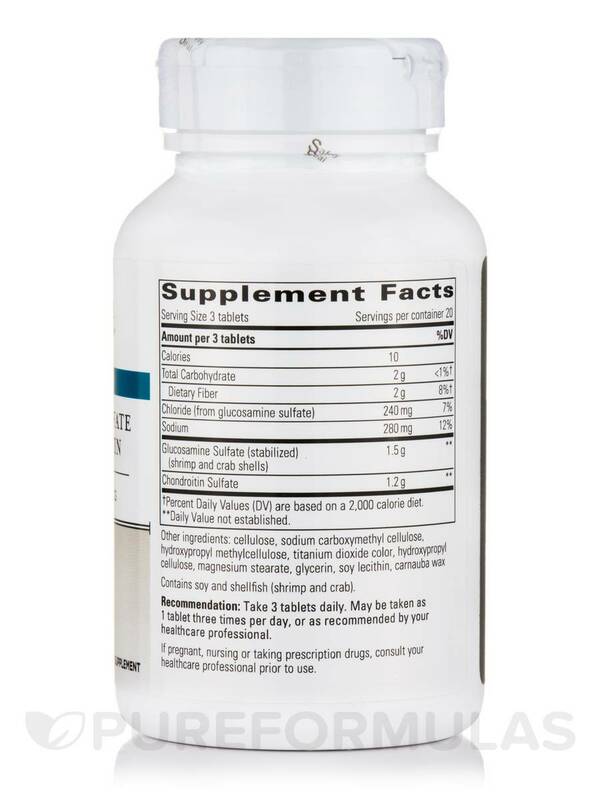 Take 3 tablets daily. 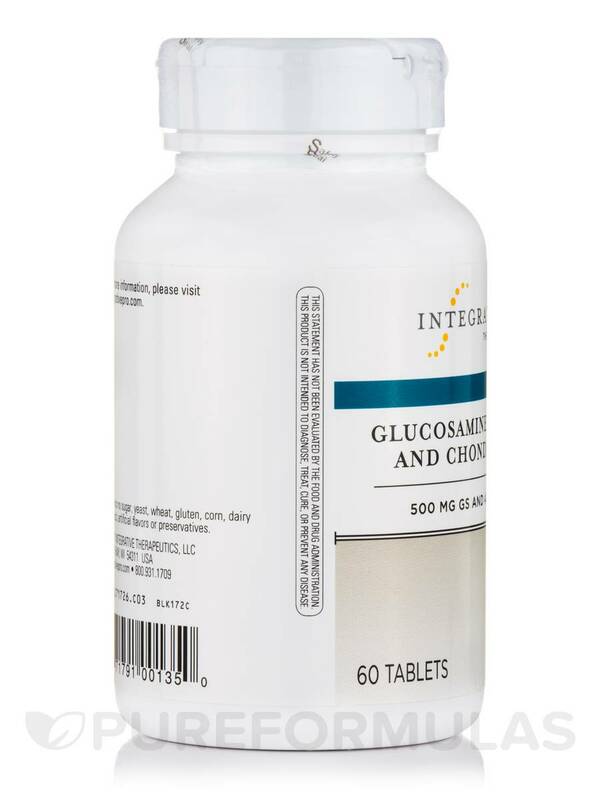 May be taken as 1 tablet three times per day‚ or as recommended by your healthcare professional. 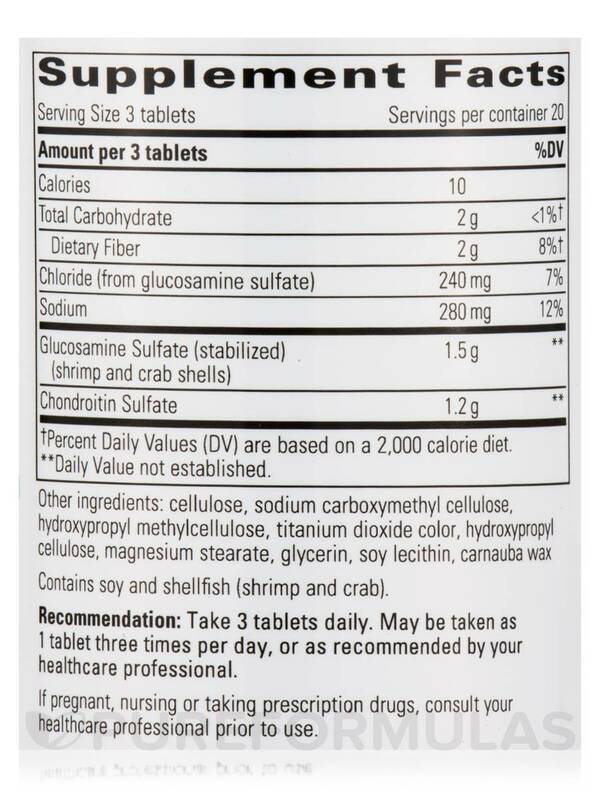 Allergen Caution: Contains Soy and Shellfish (Shrimp and Crab).